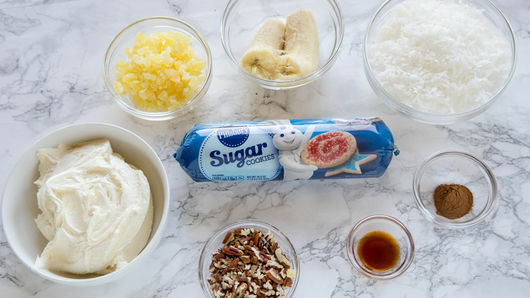 In large bowl, mix 1 roll (16.5 oz) Pillsbury™ refrigerated sugar cookies, 2 cups shredded coconut, 1 small banana, mashed, 1/2 cup chopped dried pineapple, 1 teaspoon ground cinnamon and 1 teaspoon vanilla. Scoop heaping tablespoons dough 2 inches apart onto ungreased cookie sheet. Bake 12 to 14 minutes or until edges are just golden. Cool 5 minutes before removing to cooling rack to cool completely. 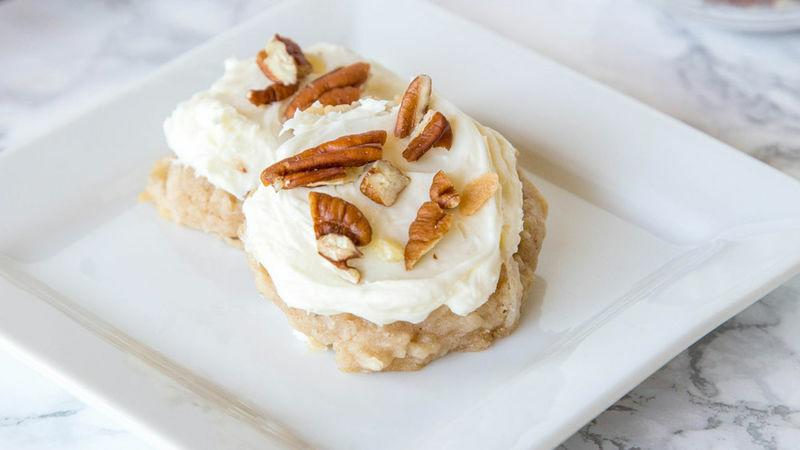 Frost cookies with 1 container (16 oz) cream cheese ready-to-spread frosting. Garnish with 1 cup chopped pecans, if desired. 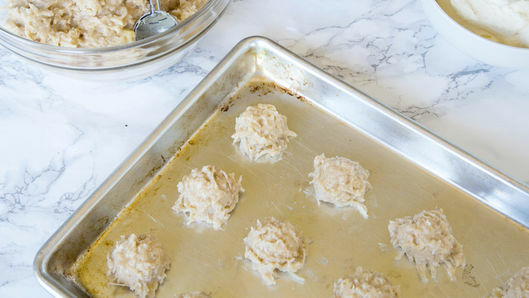 If freezing cookies, they are best frozen before frosting. To freeze, place in an airtight container. Use a cookie scoop or a small ice cream scoop so all of your cookies are the same size. This will ensure all of the cookies are done at the same time.